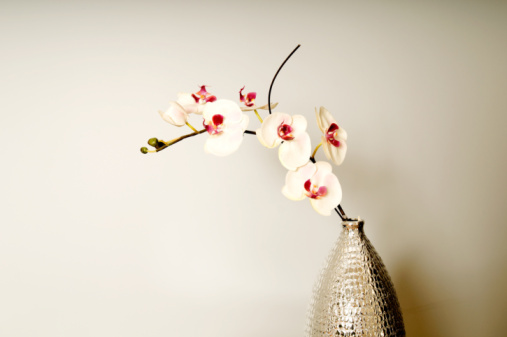 Orchids, members of the Orchidaceae family, are prized for their attractive and exotic flowers. Considered difficult for amateurs to grow from seed, orchid species may be hardy from USDA zones 4 through 12. From hardy natives to tropical beauties, orchid seeds contain few food reserves, naturally relying on a symbiotic relationship with a fungus to provide their nutrients. Home growers imitate this relationship by sowing orchid seeds on a gelled, algae-based nutrient solution known as agar. Because the seeds and agar are generally kept in a flask, this process is called flasking. Agar or nutrient agar mixtures can be purchased. 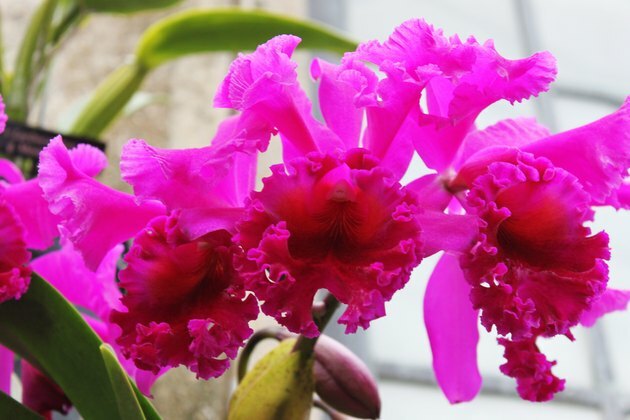 Alternatively, home growers can make an orchid-flasking, agar medium of their own. 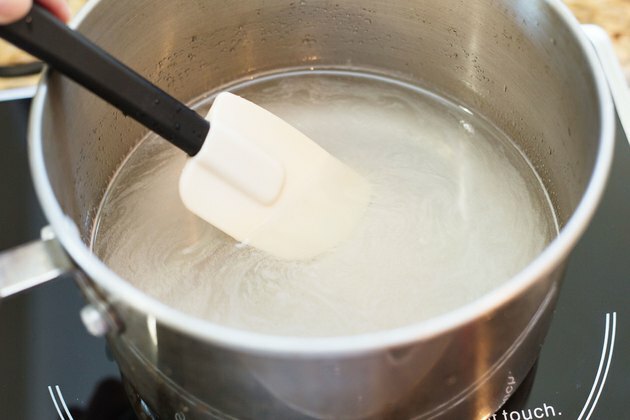 Mix water, gelatin, sugar and beef bouillon cubes or granules together in a saucepan. 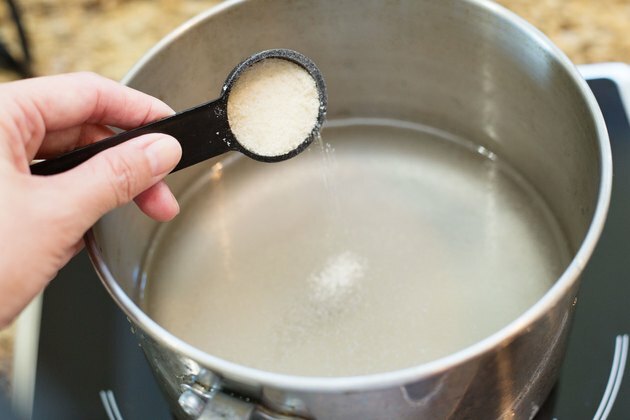 The amount of each used will depend on the amount of growing medium desired, but a sample mixture would have the following ingredient proportions: 4 cups of water, four packets of plain gelatin or a substitutable amount of agar, 8 teaspoons of sugar and four bouillon cubes or 4 teaspoons of bouillon granules. Boil this mixture, stirring constantly. Cool the mixture once it has been brought to a boil and all of the ingredients have dissolved. Keep the mixture sterile. Avoid exposing it to any surfaces, skin or other materials that may harbor any amount of bacteria. 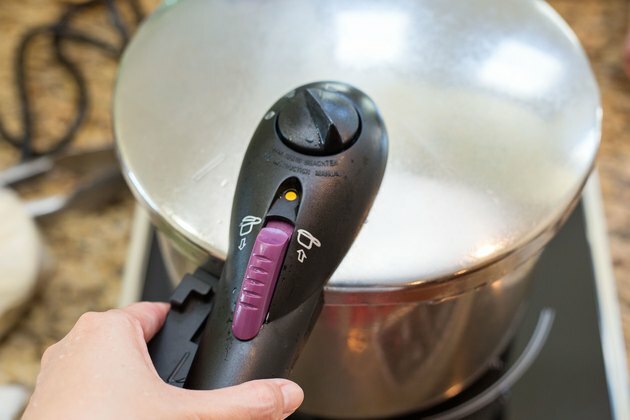 Keep it covered to prevent contamination and let it cool for no more than eight minutes. Pour the mixture into sterilized flasks. 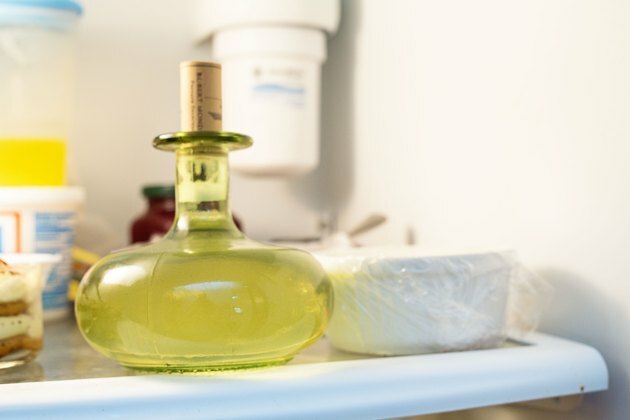 Purchase sterilized flasks and avoid opening them and exposing them to microorganisms until immediately before they will be filled with the growing medium, or sterilize the flasks in a pressure cooker or oven. 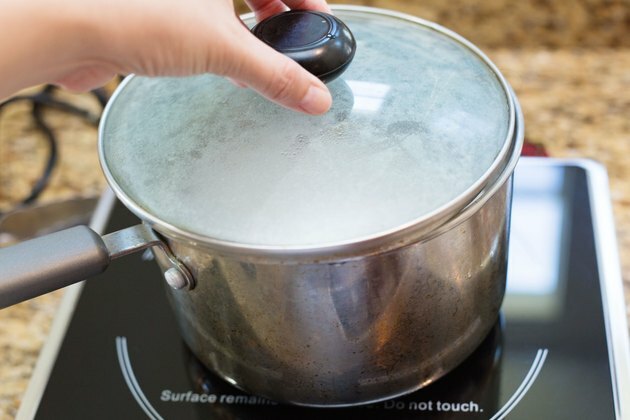 In a pressure cooker, sterilize the flasks for 15 minutes at 15 psi (pounds per square inch). For oven sterilization, put glassware in the oven for two to three hours at 350 degrees Fahrenheit. Cover the flasks and let them cool until the gelatin has set. The flasks may be refrigerated to encourage setting. Keep the flasks cool, ideally refrigerated, until the orchid seeds are ready to sow. For best results, the medium should be put to use within three days after you have made it.